Rent the Sugar Loaf and Spa cottage starting from 695$, 2 to 6 guests. 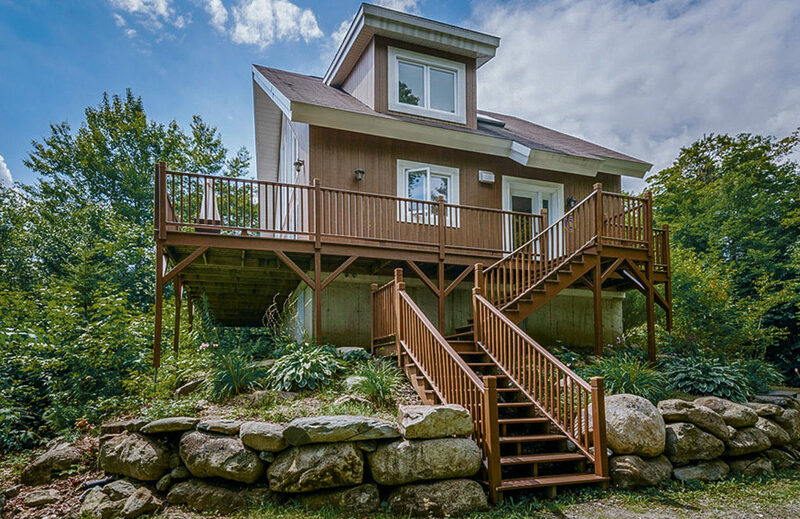 The Sugar Loaf and Spa cottage for rent in Estrie, is located near Sugar Loaf lake, 10 minutes away from Owl’s Head center. Its open space layout, cozy fireplace and private spa make it the perfect place for your family gatherings or friends getaway. It is also perfect for summer outdoor activities, with its private deck on the lake making it ideal for swimming, two kayaks and one pedal boat. 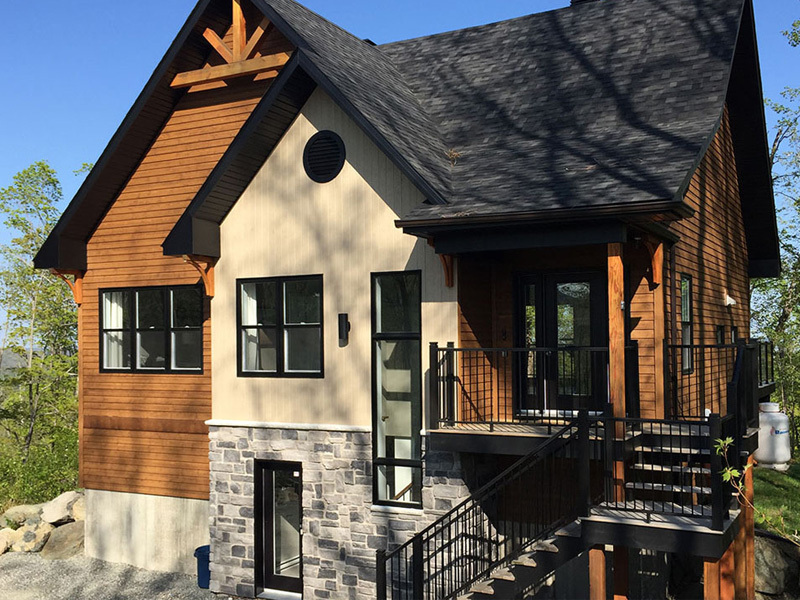 Like all our cottages for rent in Estrie, the Sugar Loaf and SPA is fully furnished and offers all the amenities to accommodate up to 6 guests. If you are interested in this cottage’s unique and cozy atmosphere, you will also like our other properties, the Appalaches cottage, the Epic and SPA cottage, and the Saule and SPA cottage. The Appalches Cottage, located in the Eastern Township, offers up to 10 guests all the amenities. Book now. This beautiful newly built cottage is surrounded by a three acre forest in a secluded and tranquil area. 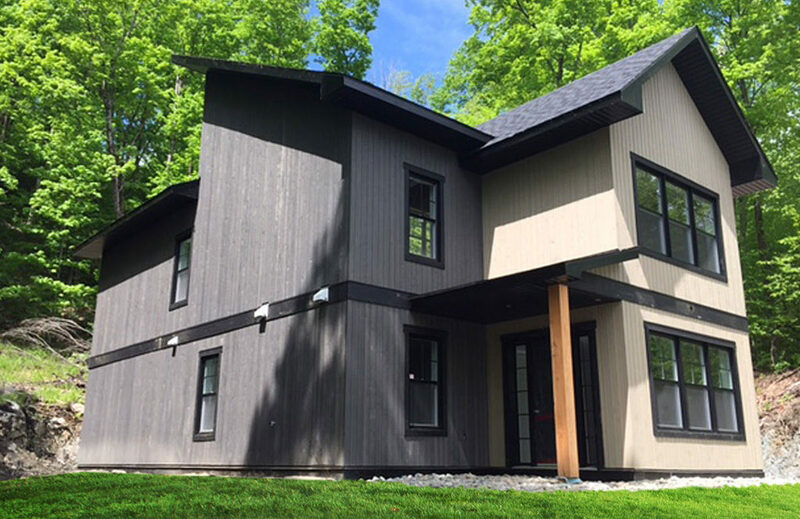 This beautiful newly built cottage is surrounded by a forest in a secluded and quiet place.